As featured in the New York Times, CBS and NBC, here’s our step-by-step guide on how to take a nearly free family trip to Walt Disney World ($4,000+ savings) using credit card rewards points! We’re going to cover everything in detail below, but you can also download our checklist of the plan for your reference. And, you can sign up for our Disney Challenge, where we’re helping 500 families plan their dream Disney vacations. Are you headed to Disneyland in Anaheim instead? If so, be sure to check out our guide to visiting Disneyland for free. To make this trip happen Laura and I opened a few new credit cards and used them for our regular spending in order to earn the significant signup bonuses that were offered with those cards. Since we pay these cards off on time and in full every month, this didn’t cost us anything at all. We are both CPAs, so being financially responsible is essential to us and we thoroughly researched this before getting started. If this is a new concept to you, you’ll want to check out these basic tips below. The easy-to-use Barclaycard Arrival Plus is our absolute favorite card for beginners and can earn you free Disney park tickets! Spend $5,000 in the first 90 days and you’ll earn a minimum of 70,000 miles (plus the 10,000 points you’ll earn for the $5,000 minimum). Altogether worth $800 of travel credits! Just use your miles to reimburse yourself for travel purchases. $89 annual fee waived for the 1st year. Apply Now and Start Earning Miles! Instead of using our regular credit card that would have earned us a tiny 1% “rewards” back, we opened these new cards and saved $4,000 on our Disney vacation. Not bad, right? And the best part is that YOU can do this too and it is surprisingly easy! Nothing beats a free room, and we’re going to show you exactly how to get free lodging with points. Recent changes to hotel programs and credit card bonuses have made this tougher, but we have found ways to work around it. Let’s dig in! First, you’ll choose between two main hotel options: The Disney Swan/Dolphin or the Sheraton Lake Buena Vista Resort. The Disney Swan and Disney Dolphin cost more points (50,000 per night*), but they are luxury hotels right on-site and within a short walking distance (or nice free boat ride right out back!) of both EPCOT and Hollywood Studios. The Sheraton Lake Buena Vista Resort costs fewer points (25,000 per night*). It’s just a few blocks away from WDW, and it has free shuttle service and lots of other perks and amenities. *Note: Marriott is introducing new peak and off-peak pricing. So for Swan/Dolphin the rates will be as follows: Standard = 50K; Peak = 60K; Off-peak = 40K. For Lake Buena Vista it will be: Standard = 25K; Peak = 30K; Off-peak = 20K. We’ll show you how to plan for either property. In some ways you get more bang for you buck (or bang for your points?) at the Sheraton Lake Buena Vista Resort. But the conveniences offered by the Swan and Dolphin are also quite nice, and many of our readers have chosen to book there instead! What you do might be based on the current credit card offers when you apply. So far we have seen the Marriott card’s bonus fluctuate between 75,000 and 100,000 points. When it’s 100,000, booking the Swan/Dolphin becomes much more attainable. Now, many of our Disney Challenge members want to earn five free nights or more for their trip. Marriott has an awesome perk called the “5th night free” promotion. When you book four consecutive nights with points, the 5th night will be free. Using the standard rates, you would need 200,000 points for five nights at the Swan/Dolphin, and 100,000 points for five nights at the Sheraton. Remember if you book at peak or off-peak times the pricing will be different. You and your significant other could each open a Marriott Bonvoy Boundless Card. The current offer is 100,000 bonus points when you spend $5,000 on each card within the first three months each account is open. When you add in the 2x earnings on everyday spend, you’ll end up with 110,000 points from meeting the bonus. That’s 220,000 if you and a spouse do it. You’ll also get a free anniversary night worth up to 35,000 points. Annual fee of $95 applies. The other option is to supplement Marriott points with your Chase Ultimate Rewards. 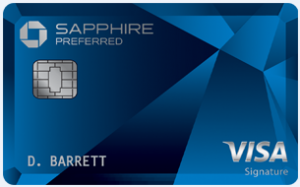 We talk more about the Chase Sapphire Preferred below, and it’s quite frankly the best travel card on the market, in our opinion. With the points from that card, you can transfer some of them (just enough to meet your goal for Marriott points) to your Marriott account, and you will be all set. For most families, the easiest way to get your flights to Orlando will be to each open a Chase Sapphire Preferred card, which earns Ultimate Rewards (UR). These points are incredibly valuable since you can either use them to book travel directly through the online portal or you can transfer them to one of their rewards partners such as United, Southwest or British Airways where they become true frequent flyer miles in those programs. The easiest and most flexible option allows you to purchase your flights through your online rewards portal. This is as simple as searching on any of your favorite online travel sites, so nothing difficult here at all! You will get 1.25 cents per point in value this way, which equates to $1,600 in free flights from your 128,000 points. That will give you a lot of flexibility to book on the airline of your choice and $1,600 should cover the vast majority of the flight expense for a family heading to Orlando. You also might find some great redemption options with Jet Blue or American; it really comes down to your outbound airport. 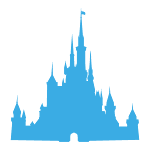 Check out our tips on finding the cheapest flights to Disney for more info and examples of prices. For the ease of redemption and great value this is simply our top card for flights to Disney World. There are no specific credit cards dedicated to earning Disney World park tickets, but after a lot of research and phone calls we found a way to earn credit card bonuses to cover the vast majority of the expense of the Disney park tickets. The good news is that right now there are TWO incredible credit card deals for this purpose. If you are taking a trip with a large family, you might want to open both. Or you and a spouse could each get one. There are lots of ways to customize your plan! The Barclaycard Arrival Plus is the best option currently. You’ll earn a minimum of 10,000 extra miles for the $5,000 spending requirement, making this worth a minimum total of $800 in travel credit when including the bonus! $89 annual fee waived the 1st year. This card is so easy. Once you meet the bonus, you essentially just reimburse yourself for travel expenses. So nobody knows or cares that you have “miles” — you just simply pay for your travel expense with that card and after the fact you log into your online account to redeem your miles for a travel statement credit which reduces your credit card bill. One other great things about this card is that you can retroactively apply the reimbursement to expenses you made before earning the early spending bonus. So if your first purchases on the card are your Disney tickets (following the “Undercover Tourist” method we outline below), you can still use points to pay yourself back later, after you meet the minimum spending requirement. Basics: Earn 70,000 miles when you spend $5,000 in the first 90 days! Favorite perk: We love that redemptions are incredibly simple. Just reimburse yourself for qualifying travel expenses. This is worth $700 of flexible travel (plus the 10,000 points you’ll earn for the $5,000 minimum spend gives you $800 of travel credits)! If you want another option, the Capital One Venture is a great way to supplement the Barclaycard. Both of these work the same way (you reimburse yourself for travel expenses). Using both is a great way to literally save over a thousand dollars on Disney tickets. Both of these cards are very specific about what counts as “travel” to be reimbursed as a statement credit when redeeming their miles. Buying Disney World park tickets directly from Disney will not work to get the statement credit, however, we found a way you can do this! Our top choice to purchase Disney World park tickets with your Capital One Venture is an official authorized seller, UndercoverTourist.com and buying through their site will work as a “travel” expense to redeem your Venture miles as they are coded as a “travel agency!” We were so impressed with Undercover Tourist, as their Director of Marketing personally emailed with us and confirmed their coding for credit card purposes before we made our purchase. How’s that for customer service?? We have already purchased Disney World tickets through them, so we know this works and you can be confident as well. If you and your significant other each open one of these accounts your family will have at least $1,120 in total travel statement credits available ($560 x 2 = $1,120). You would then want to each purchase some of your family’s Disney tickets on each card, so you can redeem the bonus points for statement credits on each credit card account (up to roughly $1,120 off in total by splitting the expenses this way across the two cards). Undercover Tourist is highly recommended by MouseSavers.com and the famous Unofficial Guide to Walt Disney World, so you know they are reputable. They also do not charge a shipping cost, so you are able to split your ticket purchase over multiple credit cards and it won’t cost you any additional money. Please make sure you are responsible with your credit cards. Responsible means paying them off on time and in full every single month and not spending more on the credit card than you normally would with cash/check/debit. No amount of “free travel” is worth getting into debt or paying interest on your credit card! In my opinion, it’s easiest to stagger the credit cards you open with your spouse so you’re only working on one card at a time. For instance, I would open the first account and then Laura and I would both use it. We would both put our normal spending on the card until we hit the cumulative spending requirement (paying it off in full each month!). Once done with that account, Laura would then open the next one and we’d keep doing that until we earned all the points for our trip. In the past, adding each other as authorized users could make this slightly more convenient, but given some of the rule changes from a few banks, I recommend that you DON’T add each other as AUs. It will make it more difficult to get approved for more cards later. As we alluded to in #2, each adult can open each of these accounts in their name and social security number, so for a couple it allows them to really double up on every single one of these bonus offers. We think it will take most families approximately 12 months to reach the bonuses on all the cards detailed in this plan, and you generally want to book a few months in advance. That means you’ll want to start at least 12-15 months before your anticipated trip if you intend to complete the entire plan. Every family has different spending levels, so if you spend over let’s say $2,500 per month on your cards you can likely cut 3-6 months off the timeline. Following this plan is not complex at all, but it does require some basic organization to keep track of your credit card accounts and rewards points. 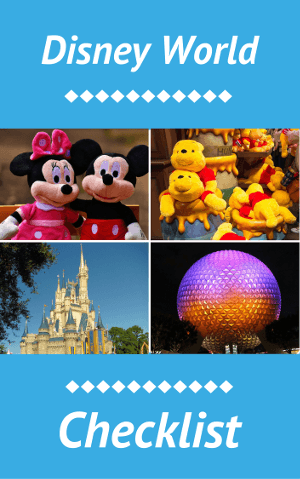 If you download our step-by-step Disney checklist we include a copy of the exact spreadsheet we used to track our Disney World trip. Flexibility is a huge key to succeed with travel rewards points, and while we’ve tried to make this plan as simple as possible (no flexibility needed for the park tickets or airfare! ), you will need a small bit of flexibility with booking the hotel rooms at the Dolphin. This is a huge hotel with hundreds of rooms per night that are available to be booked with Starwood points, but it does fill up during the holidays and occasionally on random days throughout the year. If you can be flexible even plus or minus a few days that will almost guarantee that you’ll be able to use your Starwood points. For your WDW park tickets you have a ton of flexibility to open up the credit cards right up until nearly the last minute. As long as you give Undercover Tourist enough time to ship you the tickets in the mail, you can open this last credit card in the month or so prior to your trip, purchase your tickets and then continue using the card on your trip and beyond. Capital One gives you up to 90 days after the travel expense to log into your account and redeem your miles, so you can continue earning to save even more! Our family spent $159.80 out of pocket for two expenses that you can also avoid with the right planning! There is an $11.20 government fee on all frequent flyer mile flights in the US ($44.80 for our family of four) and the Swan/Dolphin charged us a $23 per day resort fee even on the award nights ($115 for the 5 nights). However, if we had planned ahead even more, we could have opened an additional “fixed value” card to use to pay for these “travel” expenses to really make the trip entirely free. Getting to/from Orlando International Airport is one aspect of the trip that is not free, but you can use Uber promo codes to save a lot of money. What we suggest is have one of you sign up using their promo code and then refer your significant other. This referral will get each of you a $20 free ride. So that’s three highly subsidized Uber rides you’ll have for this trip. We personally used Happy Limo but many people use the Mears Shuttle to get to/from the airport. So there you have it, nearly a free family vacation to Walt Disney World for up to five nights at the luxury Dolphin hotel )or many more at the nearby Lake Buena Vista Resort), airfare and park tickets. Just by following the instructions in this article you can save $4,326+ on your family vacation! 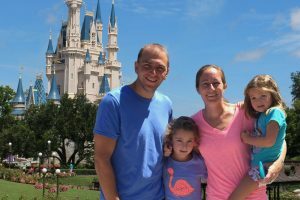 We have personally helped hundreds of families plan this Disney World trip and we want to help your family succeed as well! That’s why we started the Keys to the Magic Kingdom Challenge: We’re personally helping 500 families with every step of this Disney plan with the hopes that each family can save $4,000+ for a total savings for the Challenge group of over $2,000,000! This group is completely free to join, but since it takes a lot of time to help each family, we’re only looking for people who are going to follow through on the plan and take action! If that’s you, then we’d love for you to apply for one of the 500 free spots in the Challenge group. Brad, great advice! We went there last year and Disney is ridiculously expensive. Advice like this is worth it’s weigh in gold, or Mickey Mouse ears! Thank you! Mr. 1500 recently posted…Ask the Readers: Would you try Soylent? Do you cancel the cards at some point? Otherwise you end up with multiple cards that charge annual fees. Just wondering if that messes with your credit score? That is personal preference and it is not my place to advise either way, but you are 100% correct that you would be in a scenario where you’re paying ~$100 annual fees on each card and if you had a number of cards and that is not ideal. I have closed many of the cards I’ve opened for travel rewards purposes. My credit score is currently up by ~15 points over where I started 4 years ago and I haven’t noticed a significant impact at all plus or minus. Your mileage may vary of course, so you always have to determine what makes sense for you. Some of the cards listed have version’s available that don’t charge annual fees. For example, the Capital One Venture has a no annual fee version. I think the Chase Sapphire Reserve haa no annual fee but the Chase Sapphire Preferred does. I may have that backwards, but 2 minutes on Google will settle it one way or another. Tony, that is absolutely true. But you will notice that the fee-free cards don’t offer the same caliber of sign up bonuses. For example, the Capital One® VentureOne® Rewards Credit Card only offers 20,000 miles (at the time of writing this) as its signup bonus. That’s HALF of what the main Capital One Venture offers, and the fee version is waived the first year. For simplicity’s sake, if we think of the fee version being worth $400 and the fee-free version being worth $200, you can see that’s a pretty big difference. The fee wouldn’t kick in until the second year, and it would take four years of an annual fee of $59 to exceed $200 in value difference (five years total). That’s a long time to consider whether you would like to keep the card long-term. But, the spirit of what you are saying is absolutely right. You could knock some dollars off your Disney bill without every holding a card with an annual fee. It’s just that the total impact/savings will be dramatically lower. Sounds like a great way to earn a free trip to Disneyland. But then again, I wish there is a similar program where the participant can define the reward so long as it is within certain limits and feasibility-wise, it is achievable. A week of free grocery items for example at a certain dollar amount per day. I don’t know if this is too much compared to a free trip to Disneyland but imagine a week’s grocery for free! Hi Jen, I know what you mean — this is all well and good if you value travel, but if you’d prefer to save on everyday items, this clearly isn’t your best bet. A rewards card that allows you a true statement credit might work for you then; it doesn’t give you the best exchange rate (usually 1%), but it’s still free money! I’d suggest opening the Chase Sapphire Preferred card, which is still amazing. You can find this and other cards here. This is a great example of how to leverage rewards points for travel. We’ve unfortunately already churned the Southwest & Starwood cards, but advice is still great because I know many people haven’t tried this strategy yet. I couldn’t agree more that people need to tread with caution when using credit cards and I’m insistent on mentioning that in every related article. This can be mutually beneficial for the consumer and the credit card companies if you put all your spending on the cards and pay it off in full every month. So there’s no loser in this scenario as far as I’m concerned. But people really must be careful or all the rewards in the world won’t offset the interest and years of pain. I agree, it is vital that you pay the credit cards to 0 every month. I have an app on my phone with a reminder every month to pay the card off, and we do it. We’ve missed by a day or two here or there, but over 5 years only paid a total of about $50 in interest fees, so I’d say that is pretty good. We’ve earned so much more in points towards groceries, and saved money on bank fees at the same time. Absolutely agree. Organization is the key, but it doesn’t take a sophisticated system to keep it all together. If you ever miss a payment (by mistake because you forgot), be sure to call the rep and ask about waiving the late fee. It’s a common courtesy for active customers, especially if it’s a rare occurrence. This sounds good…I will definitely take advantage of this in the future. The Disney Swan and Dolphin being a Starwood hotel allowing you to use Starwood points is a great find. I know many people want to stay at a Disney property for all the extra perks but assume that they are much more expensive. Using points will definitely make it doable. PS: pretty cool that you’ll be on TV! PPS: Not as cool as being on TV, but I included a link to an old post of yours in my post. Andrew@LivingRichCheaply recently posted…Why Aren’t You Saving for Retirement? I know you guys aren’t going on many big trips right now with the newborn, but definitely keep this in mind the first time you go to Disney! I just love the idea of staying right there at Epcot for free — it’s so great. Thanks for the link, I really appreciate it! We’re really excited about the TV stories and will definitely post the link when they are available for viewing. I have used 0% transfer deals and rewards to my advantage ever since I graduated college and it mecame me responsibility. Now 18 years later married with 2 kids the only debt we carry is our house and the rewards card we do have has bought me some very nice things including diamonds! I just wantto know what this kind of reward leveraging and multiple cards within the household does to our credit rating? Say for instance we will also shopping for a new mortage or moving soon. Isn’t it amazing to earn so much from the rewards cards just for acting responsibly? I love the concept of that! It’s a great question about the credit rating: I have seen very little change in our credit rating over the past 3 years and 8 different credit card accounts opened. I think our credit rating has dropped about 5 points, which is really nothing at all to earn well over $15,000 of free travel. That said, we had a decently long credit history, so small items like opening a few credit cards weren’t going to impact us much, and we weren’t planning on making any major house or car purchases in the next few years. If you’re planning on buying a house, I wouldn’t suggest opening 5-10 credit card accounts because it might just look odd and raise questions. But you certainly can open a few if you find a specific offer or two you can’t resist. What a great article! We definitely need to use reward cards more to our advantage. Actually headed to WDW next week (saved for 5 years to be able to afford to go). Wished I’d read this a year ago. I noticed many of the cards have annual fees. Once you’ve gotten the points and used them, should you go ahead and close the account? If you do and down the road they offer new incentives for the card, can you apply and receive the new incentives? Is there a timeframe that you would have to wait or do they always recognize you as having had an account so you can’t qualify for new account rewards? Hope this makes sense. As far as closing the accounts go, that’s definitely your personal preference. Some of the credit cards offer annual bonuses, like Southwest, which offers 6,000 Rapid Rewards points each year. These are worth about $100, so that offsets the $99 annual fee. Others don’t offer you much of anything. Many people have success calling up and asking for the annual fee to be waived in successive years and often they’ll do that or maybe give you free points as an incentive to stick around. If they offer you nothing, then you need to judge whether it makes sense for you to keep it open. Maybe people would close an account at that point. I have left some open, closed some, and it just depends on the circumstances. I do hate paying annual fees though! I do plan to do more research on this and will try to write a post at a later date. I want to do this with my family, but I called Barclays customer service, and they told me that Disney tickets are NOT considered “travel,” and that was after speaking to 2 different customer service reps. I live in the Richmond area. Thank you. Nick: Thanks for the comment, I updated the article to reflect the fact that Barclays cannot confirm whether Disney tickets will count as travel. It seems ridiculous to me that there isn’t an easy answer, but since they can’t answer it, I strongly suggest not buying through Disney. You’ll get a better price from UndercoverTourist.com anyway and I confirmed that their credit card merchant account number ties to the ‘tour agencies’ code with Barclays, so I think we’re set with this now! Has anyone actually completed the purchase from undercover tourist and verified that is qualifies as a “travel” purchase on your barclays statement? I have not yet completed this ticket purchase, so I am not 100% sure. I did spend 3+ hours researching this and spent time dealing with execs at both Barclays and Undercover Tourist who assured me that it would work based on the exact coding of their business. I am therefore 99% sure at this point that it will work. I will have a definitive answer for you within 2 weeks and will update it here. I can confirm that undercovertourist.com is indeed eligible for the travel cash back reward. A couple of data points; (1) my bonus points posted after meeting the spend requirement but BEFORE the statement closing date. (2) The 10% bonus miles for redeeming on travel purchases posted to my account immediately upon completion of redeeming the reward. Barclays says this will take 1-2 weeks, it was for me instantaneous. Thank you Brad for doing the research and finding that undercovertourist would indeed code as travel. Thanks for the confirmation!! Both your data points are incredibly helpful (and good news), so thank you for passing them along. Thanks for the kind words — I’m really happy to help 🙂 This is such an amazing concept, and I’m glad others out there can benefit from these articles. It’s wild to save literally thousands of dollars just by opening the right credit cards. We just booked our July 2014 trip to Bermuda and we have most of the November 2014 trip to Disney booked, so this is going to be a good year of completely free travel! My dad lives right outside Orlando and has year-long passes to Disney (in-state rates are pretty great for Florida residents). He and my step-mom have stayed at all of the hotels at Disney. He showed me some “swan” photos and they were pretty impressive. It’s a beautiful hotel and well worth the cost for a special trip-in his opinion (even better if you can book there for free with travel rewards). Great to hear!! We’ve seen pictures and it looks amazing, and we know that since it is a Westin brand hotel the beds will be those “heavenly beds” and all the amenities will be top-notch. Tough to beat since it is so close to Epcot’s front door! Awesome! Travel hacking is on my list for 2014, and I’m definitely going to have to keep this in mind once we have a little one wanting to go to WDW! Glad you liked the article Ryan! If you want to get some free one-on-one advice, be sure to sign up for our travel coaching program. No catch, no gimmicks — it’s just free. I’m helping a whole lot of people learn, and it is really a lot of fun! Just a comment, there are multiple versions of the SWA card, it would be ideal if one Southwest account holder applies for 2 of these cards for 100,000 points. Why? Because of the Companion Pass, which you earn after you earn 110,000 points on your account in a calendar year. After your spending requirements, you are only a few thousand points away to getting the pass for the current year as well as the following year. Doing it right now ensures that you have the pass for almost 2 years! What’s so special about the Companion Pass? Every time you fly Southwest, you can take a companion with you, for free! With the recent news of how much airlines have hiked fares over the past year, it is worth even more now to get a free ticket each time you fly. Great comment John! The Southwest Companion Pass is the ‘holy grail’ of rewards travel because you basically get ~$3,100 of free Southwest flights for opening two credit cards. If you time it right as you suggest, this can be yours for over a year and a half until 12/31/2015. This is definitely some really great stuff, but I know my wife is a little reluctant to manage additional credit card accounts. With all the rewards programs out there, you could end up opening and closing a lot of credit card accounts over time. I completely understand the hesitation Mark, especially if you and your wife don’t like dealing with a number of cards and payment dates, etc. You definitely can open and close many accounts, so there is a bit to track, but I am able to do it in a fairly simple excel spreadsheet. If you ever want to discuss, just sign up for the free travel rewards coaching and we can jump on a phone call to chat about it. I’d like to do this for our family’s trip to Disney in one month! I am considering applying for the card and using it to purchase the 10 day no expiration tickets through the Barclay Mastercard. If I used my first purchase for 2 10-day no expiration tickets, I would get the statement credit plus an additional 2.2% cash back because it’s considered travel? That sounds really good! Hi Amanda — thanks for the comment! As we discussed via email, yes, you can make the very first purchase on your card the two 10-day no expiration Disney tickets and that would trigger the bonus points (40,000 bonus points when you spend $3,000 in the first 90 days. $89 annual fee waved the first year). Barclays is great that they allow you to go back and apply the points even though you didn’t have them at the time of purchase! You have up to 90 days after your purchase to apply the points, so you can theoretically keep using the card to earn more points to take off your ticket purchase. I’m very interested in using this method for Disney! My question is this….do these cards offer 0% introductory APRs? I only ask because if you don’t get your rewards until after your $3,000 in purchases, how would you use those points to pay off the travel expenses that you incurred before you’d need to make the first credit card payment. If there is interest right away, it would need to be paid off in full each month while you wait for the rewards to be posted to your account. By that time, your credit card balance would be zero. I’m just wondering how the travel points get applied to your actual travel expenses if it takes a couple months to reach the $3,000 minimum. Hope this makes sense! Hey Lindsay, here’s how it works. First…you definitely want to pay the cards in full each month to avoid any interest. Second…the way it works is that once you meet the minimum spend and get the bonus, you use that bonus to offset past expenses. That “erases” them, but if they’ve already been paid for it does so by erasing their equivalent. Does that make sense? So say I had a $500 travel purchase last month, but I’ve already paid it off. This month I got my bonus, and I also made a $1,000 appliance purchase. Well, I can “redeem” my points for the travel, but in essence this actually “erases” $500 of the $1000 current balance…meaning I now only owe $500. Make sense? This was the exact plan we used last summer, but we got into Disney for free through a family member. But man, what a find on the Barclaycard! That puts a $800+ dent in your ticket price, making it affordable for most any family! I am currently trying to find a condo in Hawaii on AirBnB, because it is classified as travel, but VRBO is not. The subtle difference can means HUNDREDS in savings! That’s really cool you guys used the same method at Disney! Saves thousands, right?? I did a whole lot of research on those Disney tickets using them at Undercover Tourist and putting it on the Barclaycard, and I’m really glad I did. I know it helped a lot of people through the site and it sure saved us $800! I think the Barclaycard Arrival is one of the best cards around, but it is frustrating not knowing 100% if you’ll get to use your points for “travel” like in your VRBO situation. Excellent article! We do this, and this year are going to get many SW plane tickets for free – love my companion pass! Also Barclay, Sapphire, and United. Next going to try Marriott – can’t wait. My wife is a little leery, but so far we haven’t found a down side! We just got our last rewards on our second SPG Amex. Now time to start exchanging points for rewards! As a former loan underwriter, one caveat on this method – rapidly opening and closing accounts can negatively impact your credit. It can greatly decrease your average age of credit accounts. Thank you for your comment — I appreciate you reading the article and sharing your expertise. I tell people that I work with through my Travel Rewards Coaching program that this method is not for everyone. Most specifically, if you are thinking about getting a mortgage in the next 1-2 years, or if you do not have a significant credit history (let’s say you’re fresh out of college), or if you have a credit score below 700, then this is probably not something you want to consider. I never try to talk anyone into it, as this is a completely personal decision — just as anything that relates to your financial life is. But I do want to point out that I’ve been doing this for about 3 years now, with what most people would consider a significant number of credit cards, and I just checked my credit score and it has INCREASED by 13 points since I started!! So I’ve probably earned $15,000 – $20,000 worth of completely free travel and not only has it not hurt my credit score, but it has helped! We made the determination a few years ago that even if it did slightly negatively impact our scores that it wouldn’t matter to us one bit, and we therefore decided to move forward. Our scores were around an 800 when we started, and we had a mortgage and it just didn’t matter to us if the scores dropped 5-10 points as most people reported they would. Once you get above a certain threshold, it just is all for show. I have read dozens of websites with thousands of comments and I have yet to hear one horror story of this decimating someone’s credit score. I feel comfortable with my family and friends taking part in this strategy, and as a CPA who has a website built around personal financial advice, that should speak volumes about how comfortable I am with what I describe in this and other travel rewards articles. These are the kind of deals I always take advantage of! Do you know if the $400 travel credit with Barclays would be good on a package (room and tickets) from WDW, or would it only apply to the room portion of the package? I’m glad you liked the article so much! My understanding of the Barclaycard Arrival points is that it is tied to the ‘merchant category code’ that the company uses to code their expenses. So a hotel would clearly count for “travel” under this system, and if you were able to get the tickets through the hotel then I have to assume they would count as well. It is a bit frustrating that you don’t know beforehand, but I’ve spoken with a number of people at Barclays and that’s the best they can give me. Thank you so much, Brad, for all of the helpful tips! We have our Disney trip planned for the end of the year so I don’t think we have enough time to take advantage of ALL the tips this go-around. But, we are taking advantage of the Barclaycard. We live on a budget (doesn’t everyone!) so we only want to put the minimum amount of purchases on the card to trigger the $400 credit. If I am reading this correctly, can I make $2600 in regular purchases and then $400 on travel purchases, then earn the $400 credit, and then retroactively apply it to my bill. IE I am only spending $2600 on the card? My second question is did anyone ever confirm whether WDW travel (hotel/tickets) counted for the $400 travel reward? You are correct about the Barclaycard Arrival that your tickets can be a part of the $3,000, so your example of $2,600 of other spending and $400 of tickets works for sure. Put another way, you can retroactively apply your points up to 120 days after the travel purchase, so you can put the travel on there as part of the $3k, get awarded the bonus and then apply the points. That is a nice feature! One little tip if you’re going to use UndercoverTourist.com like we did: They charge $0 shipping, so I actually checked out in multiple orders to take advantage of the 10% dividend Barclays offers with your redeemed points. This allowed me to use all the points, as I redeemed the first time for the vast majority of the points, got the dividend and then redeemed them against the 2nd ticket in its own distinct purchase. Depending on how quickly you make it through the Barclays spending, you can theoretically open the Starwood card and use those points since with hotels if there’s at least one standard room available for cash, you can use your points. So unless you are going at Christmas/New Year’s, there will likely be availability, so you would have a lot of time to take care of that. Just a thought, but I wanted to pass it along. To answer your 2nd question, nobody has confirmed for me if Disney tickets through Disney count. I assume that anything put through your hotel bill would count, since it would be coded through the hotel which would come up as a “travel” expense from Barclay’s perspective. But I simply don’t know if you order the tickets through Disney if they will count as it all relates to the “merchant category code” that Disney would be coded under for credit card purposes. Brilliant ideas! We go to Disney every year in September and, even with free dining or 30% off the deluxe villas, I kept thinking that there had to be a better way. Dear husband has platinum status through SPG and we discovered that we could use points and his suite upgrades to get an awesome suite at the Swan or Dolphin, which is what we’re doing this year! Using the 5th night free promotion, we’re staying at WDW for 10 days this fall…which brings me to my point. For people staying this long at WDW, it might make sense to look into purchasing an annual pass and Tables in Wonderland card. In our case, we’ll be traveling with my parents and, since we always dine together at the parks, only one of us (in this case, me) needs to have the AP/TIW card (it will cover up to 10 people at the same table under one check). How it works is this: I have my AP, which allows me to purchase a TIW card (and, right now, gives me a $25 discount if I purchase the TIW card!). This costs about $350 more than my 10 day parkhopper ticket. However, the TIW card gets me 20% off meals + wine at most Disney restaurants (including counter service and some snack carts) and the AP gets me 15% off WDW tours, 10 – 15% off at Disney-run retailers at the park, 50% off at the Disney miniature golf place, and 20 – 25% off spa treatments at WDW hotels (there are more perks – look them up at the Disney website). Because we’ll be doing character meals/table service dinners around the parks, taking a Discover the Magic tour around Disney and playing mini golf, in our case, this will pay for itself. **While there is an 18% gratuity automatically added to all meals, this is done AFTER the 20% discount is taken (which is why this is not merely a 2% savings, as I’ve heard some people suggest). Our preliminary numbers suggest that people who stay around 10 days or more (doesn’t have to be consecutive) at WDW per year may benefit from at least getting the annual pass…and those who like character or signature meals (with wine!) and/or like to use the extras offered (like spa, tours and so forth) may find the TIW card to be a better deal than the dining plans offered. Unlike the dining plans, wine and liquor is included and one can choose just how much or how little s/he wants to eat (not tied to app, entree + desert). Personally, we got tired of tipping on outrageously large meals we couldn’t come close to finishing. If someone is doing the Tables in Wonderland and staying at the Swan or Dolphin, in addition to the 20% off, you can also use your SPG rewards credit card to earn double SPG points when dining at the resort restaurants…and quadruple points (4 points per dollar spent) during certain promotional periods. Currently Shula’s Steakhouse, Il Mulino New York Trattoria, Kimono’s, Bluezoo and Garden Grove (this is a character meal!!) qualify for both the TIA discount AND double points when using your SPG card. Currently, SPG is running the quadruple points on hotel restaurants promo through April 30. **This information is courtesy of the SPG representative I spoke with by phone this morning. Please call SPG to verify what promotion(s) will be available during your stay. Thank you for this information, we just signed up for 2 cards. Does anyone know if you are able to book a room other than the Traditional room for Swan or Dolphin? Hi Steve — I tried to reach out to you via email to discuss personally, but to answer your question: You are able to upgrade to a suite for a cash fee each night. The Executive Suite which essentially triples your square footage costs $200 per night in addition to the points. Or there’s a really nice Sheraton outside the Disney complex that is only a Category 2 hotel, so you could easily get 2 rooms instead of 1 at the Swan/Dolphin. I am a kid at heart and I hope to visit Disney World again and this time, bring my kids and have the best time of our lives. I just love disney and taking a visit to this place for free? Wow! That’s just perfect. I can’t wait to experience this soon and share it with my kids. Thanks for sharing! Sure thing April — I’m glad you enjoyed the article!! This really is an amazing concept and I hope you can make it work for your family. I’d be happy to help, so just shoot me an email anytime you have a question! My family and I are looking to go to Disney LAND. Is there an UndercoverTourist.com equivalent to buy Disney Land Tickets that you would recommend using the Barclay card. Hi Ryan — thanks for stopping by and commenting! I am not 100% certain about the Disneyland Tickets, but I believe this site will work: http://www.arestravel.com/ I found them through MouseSavers.com so they are reputable and the only question is their “merchant category code” when their credit card transactions are processed. It has to line up with one that Barclays considers travel and I can’t be sure of that until I confirm it with them or have them run a test transaction. I’ll call them on Tuesday and see if they can answer or if they could just charge me $1 to see if it comes through on my Barclays card. I’ll get back to you. I had a great experience dealing with the team at http://www.arestravel.com/ and we 100% definitively confirmed that buying Disneyland tickets through their site will be coded as travel for purposes of the Barclaycard Arrival points!! I am really happy this works for Disneyland as well! 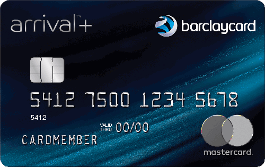 If you want to sign up for the Barclaycard Arrival Plus card, I have the direct application link above. This will get you ~$500 off your tickets (40,000 bonus points = $400; $3,000 in spending is 6,000 Arrival points for another $60 and you get a 10% dividend on miles redeemed for travel, so that’s worth at least another $40 when all your points are used). And if you want to sign up for our completely free travel coaching program, fill out the form on this page and I’ll work with you one-on-one. Thanks! Hi, this sounds fantastic, but I live in Italy. Do you know if any type of hacking is possible from overseas?? I’d really like to take my son to Disney (we have enough miles for a free trip to the US from Italy) but I’d really like to save on hotels. Thanks in advance! Glad you liked the article so much! Are you Italian, or an American living in Italy? I know my wife’s sister and her husband are Americans living outside the country and they are able to open these rewards cards quite easily. I’ve heard it is much more difficult to find credit cards with massive bonuses outside the US. Do you have any suggestions for buying tickets for Universal Studios at Orlando? Or I suppose it is the same strategy used to buy Disney tickets? Thanks. Definitely the same strategy through UndercoverTourist.com! That is coded as “travel” so it would count for a full statement credit in the case of the Barclaycard credit card mentioned above. We just comleted the Chase Sapphire VISA promotion, and the wife and I both have about 49000 points in our accounts! Next, we will be applying for the SPG Amex cards, but I have a question……..do the Bonus Points really take 8-12 weeks to post to the SPG member accounts? That’s 2-3 months AFTER reaching the $5000 spend during the first 6 months. This may make booking a trip for next summer difficult…. Hi Mike — thanks for stopping by! I personally have never seen the bonus points take anywhere near 8-12 weeks, so I would be quite surprised if that was the case. They generally post anywhere from a few days to maybe 2 weeks after the statement close where you hit the bonus spending requirement. So it definitely is not the full 6 months plus 8-12 weeks in this case! It would be whatever month you hit the $5k plus 1-2 weeks for posting. Is it possible for someone to ‘gift’/transfer starwood points to another person not in their household? Specifically, my parents are interested in transferring their points to my family. Now onto opening credit cards for next years trips ! Thanks for all the great info. We are almost done with Amex#2 and Chase #2 spending. We’ll be opening one of the Barclay cards in the next couple of weeks. Once we spend the $3000 on each of those, do you recommend switching to another card to either earn cash rewards for spending money while we are on the trip or begin earning rewards for our next trip? We began in April.. I am guessing we’ll be done with all of these steps in October or November. We will likely travel next fall. I want to get the most out of our spending, but don’t want to cause any problems with our credit by opening and closing so many cards. Thank you so much for explaining all of this. We would not have been able to afford Disney otherwise! Does anyone know if there is a maximum single purchase/transaction limit on any of these cards? I am looking to buy a used vehicle and would be able to satisfy the $5K Starwood purchase requirement (and maybe the Chase Sapphire as well if the dealership lets me split the transaction!) and save a lot of time and headaches instead of reaching the reward levels with smaller transactions. I know a lot of times it will depend on your personal finances and credit score (both of ours are over 800) but thought maybe someone will know a baseline. Thanks for the great info. Hi Mike — great question and I’m sorry for not being clear. I just updated that entire section of the article. You only get the full value of the statement credit if you redeem the miles against travel expenses. That part is absolutely true. In your scenario if you had $400 in rewards and had a $410 travel purchase, you would be able to apply the $400 in rewards leaving you with $10 on your card. Alternately, let’s say you had the same $400 in rewards and had a $1,000 travel expense, you could still use your $400 in that scenario to offset that portion of the larger expense. Barclays is great because of this flexibility. Final note is that the travel expense must be $25 for it to register, but other than that it is really straightforward and intuitive. Thank you sir, your experience with undercover tourist has saved me potential loss of use of the Barclay rewards. Glad to help Mike! Those Arrival points really are nice — glad you could make use of them. That would be a great piece of data to add to the article, so I’d greatly appreciate if you could report back! Thanks Mike, that’s helpful information! This shows that Disney park tickets bought through Disney would not be available to use your Arrival Plus miles against, so that lends further credibility to the UndercoverTourist.com method I describe above. That is a great work-around, from a very reputable site, to be able to purchase Disney tickets and still offset the expense with your Arrival Plus miles. Thanks for the excellent blog. I have a question which I would appreciate if you can answer. I applied for the Chase Sapphire card 2 months ago & have already met the minimum expending amount & received the sign-up bonus. Now, I am thinking of signing up the same card for my wife. I would like to merge points from her account to mine before the annual anniversary & would downgrade her card to something with no annual fees. 1) Do you recommend this approach? 2) Do you think there is any downside if we keep repeating the same strategy for other card? In all cases we would downgrade wife’s card before the anniversary. The reason I am afraid of this is because I feel Credit Card companies would eventually find out that we as a couple keep doing it over and over. May be this is the correct approach , or this is completely illegal & I will run into problem with credit card companies I am not sure. Thank you so much for this article…I saw it a while ago, and have been working on it since April. I was able to book 5 nights at the Swan for $125 (resort fees), and as soon as the points post, I will have about 100,000 points towards a flight from Chase Ultimate Rewards. One other tip people may want to try is the Hyatt card, when you spend $1,000, you get 2 free nights at any standard room Hyatt in the world. We used that to add two days near Universal. Free breakfast is included in our hotel, and there are NO fees at all. We used our other free nights somewhere else and it was so easy. Do you have any recommendations on cards to get to use to purchase Disney gift cards, or that offer statement credits on dining? I am thinking we will spend $1000 plus on dining for the week. I’d be happy to use you as a referral if you have any good ideas. Thank you!! I would just like to confirm Barclay’s is still the best way to pay for tickets. I have not signed up for Barclay’s credit card yet but will be doing so soon to start working towards the $3000 in purchases. I have gotten my 100,000 points on Southwest (in conjunction with Chase) to pay for the flights. My last hurdle is achieving 10,000 more points on the SPG Amex. I will get my bonuses for my card equaling 30,000 points but my wife can not get approved for the card so I will probably have to spend some money on it to earn those points. I am confused on the The Barclaycard Arrival Plus™ World Elite MasterCard®, what is a statement credit? Do they give you cash back? Thanks for the question: This is essentially cash back or probably more precisely, it “erases” the travel expense on your credit card statement. So let’s say your regular expenses on the card that month were $1,000 and your Disney ticket purchased on that credit card was $350. Assuming you had no points, you’d owe $1,350 on your card at the end of the month. What you’d do in this case is log in and redeem 35,000 points to offset that $350 travel expense and your credit card bill would be $1,000. How long does it take for the purchase to show up as “redeemable” in the rewards part of the site? I purchased my first ticket from Undercover tourist but it hasn’t shown up yet. The charge usually takes 3-4 days to show up as redeemable. Once it goes from a temporary charge to a completed charge on your credit card account you should see it in the rewards section. We personally used Undercover Tourist for our tickets and the expense was coded for travel and I know many others who have as well, so you should have a problem. Please confirm for me once it shows up! Was the room you booked for the 4 occupants? I just want to make sure it’s not like in Europe where room are usually for 2 people and need to pay extra for extra persons. Is AmEx the only CC that offers SPG or can I transfer from some other CC like Chase UR card? Does AmEx post the 10k bonus immediately after the 1st purchase and then 15k after spending the $5k? Does the 1st purchase count towards the $5k? How far in advance should we book the hotel with the Starpoints? Since $10k spend on AmEx would be steep for us, but would it work if we apply for the 2nd card after 6months, do the 1st purchase to get the 10k and then take the CC to DW to spend on food towards $5k? I’m guessing Starpoints never expire? Where else can I use Starpoints if we’re not into fancy hotels unless they’re located exactly where we travel? You didn’t address the food costs at DW. Did the hotel offer breakfast? Any tips about saving for food there because I heard nothing edible is allowed to carry into any DW park. So, no shuttle bus to the hotel, right? Either taxi or Uber? I guess we’d need a taxi because we don’t have iPhones or any smartphone for that matter. We live in Charlotte, NC. We might even drive to DW. Would we need to pay for parking on the Dolphin’s or Swan’s property? Sounds like you didn’t need a car at all there and you were offered free (?) to the parks by the hotel? I got a room with 2 queen beds and told them it was for four people, with two of them being for kids (five and fourteen). I looked a while back and did not see any other cards to get SPG points. I signed up twice at different periods, one for my small business and one personal. My wife did not get approved because she does not work. Chase does not transfer to SPG, and most cards other do not either. I booked my hotel 6 months early, but I am not sure how much earlier I could have done it. AmEx did post my first 10k pretty quickly, with the rest coming a couple of weeks after I hit my goal. I know this is an old post but your wife can still apply for credit cards and count household income as her income. A law was passed In 2013 that allows a person in a household that has reasonable access to household money to apply for cc using that total income. I just applied for sapphire and got approved for it , with a 21000 credit limit, and I am a stay at home mom. Can you confirm that purchasing gift cards (at Home Depot, Target, etc.) for later spending do not qualify for the $5k spend in order to get the SPG bonus points? My husband called to confirm the benefits after he got his new AmEx SPG card. When he asked if he can buy gift cards, but was told that he can buy them but they will not qualify for the SPG points. I’m kind of confused. So, I’m guessing that if $5K spend includes a $10 gift card, that’s it, you don’t qualify for the 15k SPG points?? It will be hard to spend $5k within 6mo. considering that we have other CC to tackle along the way. Thank you for this wonderful site. As of today I received my last set of points needed to get my flight completely purchased with reward points. So far I have 7 nights at Disneyworld and roundtrip trip tickets for my family of four, all purchased with reward points. Soon I will have enough points on my Barclay card to pay a good portion of the WDW ticket price. I thought I might be short on rewards points with Southwest but I changed my dates of travel from Sunday to Saturday, and saved over 20,000+ points with the difference. Enough to pay a good portion if not all of a rental car if I choose to do so. Very useful article and comments. Thank you. Also, with the 5th night free through SPG I had enough points to get upgraded to a nicer room. I could not be happier. If you’re looking for additional ways to pay for your WDW tickets each adult can open a Capital One Venture which operates the same way as the Arrival Plus (without the additional 10% dividend). That was a really smart move with changing the SW flights! Do you have any Chase Ultimate Rewards points to transfer to Southwest by chance (from Sapphire Preferred, Ink Plus, etc.)? Thank you for your article. Do you have to be a U.S. resident to apply for the Starwood/Barclay credit cards? We are not from U.S. but would love to be able to reduce costs for a Disney vacation. Thanks for stopping by and commenting — I’d love to help you save money on your Disney vacation! My understanding is that you do have to be a US resident to apply for these credit cards. I guess the easy way to prove this out would be to attempt to apply and see if they even allow you to put in your foreign address. Hi brad I am with visa, can I still get these credit cards? I’m not sure what you mean exactly being “with visa”, but if you follow up I’d be happy to help. Anyone can apply for these cards, regardless of what prior cards you have. Great ideas. I have not yet been a travel hacker to any great degree. I spend a lot on credit cards, and lots of maintenance items for my rentals, but I opt for the cash back cards. Great ideas for me to think about. Hi Brad – Do you have to keep the credit cards open once you reach the minimum spending requirements in order to redeem the rewards? Co-branded cards like the Starwood Amex (or airline cards, etc. ): those points end up in your hotel/airline account and from then on they are no longer related to the credit card. Technically if you closed the card within a few weeks of getting the points they could claw them back, but realistically these are yours to keep. Fixed value like the Cap One venture/Arrival Plus: These points are tied to your credit card and you MUST use them before closing the card. Transferable points like from the Chase Sapphire Preferred: These points reside in your credit card account, but you can transfer them out before closing the card. That plan sounds workable. I think I will try it out and see whether I will make it to take my family to Disney world. In fact, what amazes me if the fact that you can save as much as $1800 which would be spent for six nights at Disney world. Disney is way expensive but after reading this article, I feel like I might after all afford a holiday with my kids very soon. Anyway, I liked that article. It was quite informative. Several changes were recently made to the Barclaycard Arrival Plus that affect point redemption. Do you know if points can still be redeemed for Disney tickets purchased through Undercover Tourist, or is that no longer allowed? My understanding is that it does not impact buying tickets at Undercover Tourist since this is coded as a travel agency, which is still part of their program. Barclays removed “tourist attractions” from their list of approved travel expenses, so that should only impact items bought from Disney directly as I understand it. Every bit of this advice works as advertised! We started this process a year ago when we knew we had some large purchases coming up. 9 months ago I booked our room at the Disney Swan using our Starwood points ($120 in service fees). 6 months ago, I booked four flights to Orlando ($44.80 in service fees). And today, I Purchase Erased 98% of the total cost of four 5 day park hopper passes from UndercoverTourist off my Capital One account ($39.27 total paid for Disney tickets). I couldn’t be more ecstatic to receive these benefits from purchases we were already needing to make! Disney in November is going to be that much sweeter considering it will be nearly free (except for food). Thank you so much for the advice Brad, I never thought I could take my family to Disney without breaking the bank!!! That’s awesome Donald! There aren’t any specific cards for Disney cruises, but you can of course save money even still on both the airline tickets and the cruise itself if you use one of the “fixed value” cards like the Venture, Arrival Plus or Cap One Spark Miles for Business to pay for the cruise. You can save more if you have multiple of those cards and you can split the cruise expense across multiple cards. i’m still a little confused. we are planning a trip consisting of 4 adults and 4 children 3-8 and an infant. i think we will need 2 rooms. My daughter has her bonus of 80,000 attained through her Chase Business and another 50,000 coming from Chase Sapphire Reserve. I have 50,000 from Chase Sapphire Preferred. We figure we have enough for the two hotel rooms. I am a Florida resident. Trying to figure out how and what we can do to pay for the $3,000 plus worth of tickets for 5 days (don’t need park hopper). How can we earn enough statement credits to get these paid for? not sure what approach to take that requires the least amount of cards and bonuses to get it done, and how to get it done. we’d probably split the kids with 2 in our room and 2 plus the baby in theirs. Barclay Arrival Plus and Capital One Venture are quick in the sense that you don’t need to wait for points to post to your account. Another way of saying that, is that the ticket purchases (made at Undercover Tourist) will actually count toward your minimum spend requirement. Pretty significant statement credit from each of those. If you need more tickets than those will earn you, check out these two guides we have — You can actually use your Chase Ultimate Rewards to buy tickets (guide here), and/or you can use Citi Thank You points (that guide is here). We already have one Barclay Arrival Plus card open that we’ve previously used for travel, so we will probably open the 2 Chase cards for plane tickets, and the 2 Capital One cards for Disney park tickets. I am annoyed about the upcoming changes to the Barclaycard. We have about 20k points on it now, do you see any benefit to keeping it open? Should I use those points on Undercover tourist for one ticket and the rest through Capital One? Next question- we have a Southwest RR account, so when transferring the Chase points into Southwest, how do they transfer? Even amount? For example 98k points in Chase transfers to 98k Southwest RR points? If you have 20k points through Barclays, that will be worth $200 off one of your tickets. I would buy one on that card; it’s free shipping through UT, so no harm there 🙂 The 5% back will likely go unused as they now have a $100 minimum redemption, which is terrible in my opinion. Yes, Chase UR points transfer 1:1 to Southwest, so you’re good there! I would only transfer them once you are 100% sure you are ready to book at Southwest. The transfer is instant (like literally seconds), so there’s no reason to speculatively transfer them. Also be on the lookout for the Southwest card with a 50,000 bonus! Does the Barclay Arrival points work anymore for redemption on Disney World Tickets through Undercover Tourist? If it doesn’t cover all the costs, does it do some and then you spend on the rest? I just checked Barlay’s FAQ for this card and it says (emphasis mine), “A travel redemption is defined as: airlines, hotels, motels, timeshares, campgrounds, car rental agencies, cruise lines, travel agencies, discount travel sites, trains, buses, taxis, limousines, and ferries as defined by the merchant category code. So I’m as certain as I can be that it will still work. I open a Barclay card. I meet the minimum spending amount (Easily for us), I get the 40K miles/points. A few months later, my wife could then open a Barclay card, do the same, and collect the 40K miles/points. Can those get “combined” or would we just have to buy, say, 2 tickets on my card, 2 on hers, then credit back as much as we could on each one when the time comes to redeem our points? Moving on, a few months later, could I get a Starwood card, meet the minimum, then a few months later my wife do the same? Again, could THOSE get combined onto one account? The reason I asked is because I called the Barclay people. They acted like having my wife as a JOINT user would allow me to get MORE points and that it was unheard of to have 2 separate accounts in the same household. You and your wife would each open every single one of these cards, so no doubt about that! It is not unheard of at all for each of you to get an account in your name/SSN and each get the bonus. Starwood points CAN be combined into one account actually, which is great! This allows you to take advantage of the “5th night free” promotion by having at least 50,000 points in one account. Do the accrued points ever expire? We plan to take our first Disney trip in 6 weeks so figure this does not help us now, but we can start preparing for our next one! I wish I could give you a short answer to your questions, so I’ll say yes and no. The points do expire theoretically, but there are easy ways to extend the expiration on most, so realistically if you’re going in the next 2-3 years then you can absolutely start now! I’d love to help and as you’ve probably seen on the site, I offer 100% free ‘travel coaching’ and it would be great to get you moving in the right direction. I also have a Disney checklist and a more in-depth Guide that I can send you. Shoot me an email at brad(at)richmondsavers(dot)com and just put Disney in the subject. Looking forward to hearing from you! Wow this is amazing! Disney is so gosh darned expensive. Thanks for the insight. It would be wonderful to spend some time there and not feel like we lost our shirts. It seems like a great plan and you mention all the benefits and some drawbacks. Going to Disney for free is a great cost savings for a fun family vacation. I appreciate you sharing the details, thanks. I’m looking into signing up for the Chase Sapphire, but we’re going to Disney in April and need to book now. If I go ahead and get the card to pay for flight, tickets, hotel, etc. is it still beneficial within 2 months of going? How will I use the reward points? Is there a statement credit applied after spending the req. 4,000 points? Sorry, inexperienced traveler here. Hi Brittany: Based on your timing you’d be much better served going with the Capital One® Venture® Rewards Credit Card right now. You can pay for all your travel expenses with the card as part of the minimum spending requirement. Then after the fact log into your account and redeem your miles for a statement credit. Very easy! Thank you for all the great advice. I got approved for my Starwood card yesterday, but when I spoke to someone at American Express, they said if I add my husband as authorized user, he would need to wait a year to apply for his own card. Is this true? Unless Amex changed their rules in the last few days and didn’t tell anyone, then that customer service rep was completely wrong. My wife and I have each opened this card even though we were authorized users on each other’s accounts. I know many hundreds of people who have done the same and nobody had to wait 12 months to get their own bonus. Unfortunately you sometimes just get a bad rep, so it makes sense to “hang up and call again” as people put it. Call them back again at a later time. I found you can get almost anything with AmEx depending on what rep you talk to. If one tells you something you think is wrong, just call again and get another one. Hi. I’m a little confused about how the payment would work for the Capital One card. We are looking to go to Universal Studios in June and I’d like to put that on the Capital One Venture card. If I pay my bill in full the first month where my travel expenses are, but don’t earn the bonus until the 2nd month, can I get credit for a travel purchase already paid? I understand the “within 90 days” but if it’s paid already how does that work? You technically have to “apply” the miles against a prior travel expense, but the way it operates is to give you a statement credit (reduction) on your current bill. So your 2nd month bill would be reduced by let’s say $460 if you had 46,000 miles for instance. Hope that helps but please follow up with any questions! Hi! We are a homeschooling family and I am looking to purchase student seminar tickets through Disney’s website. I am wondering which credit card would be best to apply for and use? I would like to get a statement credit back. I spoke with a rep with the student seminar classes yesterday and asked him how the tickets would be coded, but he had no idea. I just don’t want to sign up for a card if I’m not going to be able to redeem the miles/ points for a statement credit or check. Thank you so much in advance! Hi Jamie! Unfortunately you’re almost never going to get a rep who knows how their purchases are coded, which is frustrating. I wish there was a clearer answer, but it is very unlikely that anything paid for through Disney will be coded as “travel.” I’ve had people try it in the past and they reported zero success. Hi Brad! This is such an awesome idea! I am just starting to plan a Disney World trip, looking at Jan-Mar sometime next year, so a little close on making the requirements in time, especially because I would need to be booking at least hotel here really soon. My biggest question is: we are really set on staying at a Disney Property. I am actually looking at renting Disney Vacation Club points to be able to stay at one of those resorts for a lower price. There are several websites that are basically a “travel agent” for points rental, if I verified with them what their charge code would be, would I possibly be able to use another card similar to the Barclaycard to redeem points on that? I really appreciate the help! Nice, glad you like the plan Misty!! You earn these large bonuses on the credit cards when you reach the “minimum spending requirements.” For instance, on the Sapphire Preferred it is currently spend a cumulative $4,000 in the first 3 months. You are paying the cards off on time and in full every month of course, so it costs you nothing. Brad, this info ROCKS! I am working on following your guidance and am planning our trip for November. This is my first foray into the world of points spending, though, and I’m facing some difficulty. I hope you’ll forgive my ignorance, but I have googled the heck out of this topic to no avail. I’m sure I’m missing something obvious. HOW do I reserve Southwest flights using points? Is it the same–purchase them and then transfer points for reimbursement? Or is there some other way to do it on the front end? Thanks so much for your help. Thanks so much for this article. Thank you for your helpful blog post and checklist! I modified it slightly, in that we don’t have SouthWest where I live, and I have been banking my Barclay points knowing we’d go to Disney. I couldn’t figure out how to use the points for the tickets, though, until I stumbled upon your site! Thanks to your advice, we used points for $1400+ in park tickets, signed up for and received the SPG bonus points (I signed up when the bonus was 35K so we received 70K points!). Eight nights of hotel at the Swan booked with points. Flights booked on Allegiant, and in another month I’ll have enough points to cover that expense too. Because of this, we can enjoy some of the extras like the fireworks cruise and several character meals. Thank you, thank you, thank you!! Hi Brad, I’m so looking forward to be going to Disney using this plan of credit card rewards. I do have a question though. You stated above that Capital One will save you more money towards Disney tickets compared to the Barclay. What is the difference? I have looked into both of them and they both seem to have the same reward points per dollar spent. I’d love to help you and your family! Hey Brad, my wife and I are in the middle of the planning process for a trip to Disney in the Spring of 2017. We have just completed “Phase 1” and now have enough Starwood points to stay at either the Dolphin or the Swan. Everything went off without a hitch. We went online and applied for cards, first for me with her as a second user, then for her with me as a user. Now we need to start working on airline tickets. Does the Chase Sapphire work the same way as the Amex where we can open a card for me with her as a user then open one for her with me as a user? Also we appreciate the time and effort ya’ll put into the research and for sharing this information. Sounds like it is going wonderfully Scott, glad to hear it! Do you know if Park Savers charges will code as a travel expense (similar to Undercover Tourist)? Thanks so much for this! We are planning our honeymoon for about a year from now and we need to find ways to save with the giant expense of the wedding really taking a toll on our travel budget. I wanted to go to Disneyland/Hawaii. A lot of these points can definitely be carried over to Disneyland as well. They have a Starwood hotel not too far from property and airline travel is the same regardless. One side note: Uber cannot go to the airport here in Orlando it breaks their rules for being allowed to run in this market. Once I had to pick a stranded co worker up at MCO because they didn’t realize Uber was not allowed. I don’t have a list of travel agencies unfortunately, but I would strongly assume that most sites that are clearly a “travel agent” would be coded for credit card purchases as a travel agency. You can always try to ask first! I’ve been doing some credit card hacks for a while now, in part to help fund mine and my daughter’s trip to Disney World in May of 2016. However, it’s just me that can register for new cards to earn rewards. I’m single and she’s only 14/15. I’m considering your course, but want to know if your recommendations are always for a couple? I did it all myself without the help of my wife so it can be done. It just requires a little more work and time. Instead of a card for myself and my wife I got a personal card and small business card for example. Just make sure to not over reach and get more than one card at a time, so you can make sure to meet the needed dollar amounts. I used Barclay for tickets, Chase and Southwest for my airplane tickets (Chase transfers to SW) and SPG for the hotel points. Oh and just so you know. I am with a family of four, and I spent about $500 out of pocket with the airline tickets out of $2600. I will end up spending $200 out of pockets for the park tickets out of $1500 and the hotel was completely taken care for 6 nights with SPG and their free night deal. I did end up working this for over a year so so I cancelled some cards and kept a couple, so there is a couple fees thrown in there. You can definitely do this plan with only one person, no question about it. Can anyone verify Undercover tourist still works for Barclay and redeeming my points? So far I used this website’s advice to get enough rewards to buy my airplane tickets (for four people), hotel at the Swan hotel and as soon as I get a response I will also have my Disney World tickets too. Just found this website and I’m excited to give this a try. But I was wondering if I could substitute chase sapphire for Capital One Venture card? Hey I really don’t mean to be rude but does this plan actully work?? Cause I really do not want to do this and it does not work. Dakota: I’m not sure how to answer this question honestly. If you’ve read this post and all the detail I provided and also read that we’re CPAs (so not jokers off the street) and that we were featured in the NY Times, NBC, CBS, ABC, etc. about THIS EXACT TRIP and that we’re working with hundreds of families across the country do this exact same thing and you still are finding it impossible to believe, then I don’t think there’s anything I could do to convince you. If you have the maturity to do it, yes. If you are bad with money, can’t budget your income, and regularly spend more than you make, then DO NOT TRY THIS! We were NOT excited about having 3 different credit cards (So, we only did 2 of the 3 steps, and only half of one of those). In 2 weeks we are going to Disney World and staying in the Swan hotel for free for 4 nights. About 60% of our park tickets were paid for by another card. So, does it work? Yes, if you are careful in spending your money and STAY ORGANIZED. Otherwise, do not attempt this, it can EASILY get out of hand. Jay is 100% correct and I tell every person thinking of trying it the same thing. You have to be smart and organized and then this is easy. If you have problems with credit cards or staying under control then run away as fast as you can. Simple as that! The Disney Visa card from Chase sometimes has targeted offers for a no-fee card with a $500 spend in I think 3 months, and then getting a $200 Disney gift card in return. The card is nice to have — there are a few meet & greets for only those card-holders, plus a few restaurants in the parks offer a 10% discount. You can use that $200 gift card toward souvenirs, food…and maybe even park tickets if you’re buying directly through Disney. Thank you for that!!!! I was wanting to get a card this. We’ll be taking our trip to Disney World in May 2017. I cannot believe how ridiculously cheap it’s going to be!!!! Our flight is going to be $45 because of fees that need to be paid through Southwest and our Dolphin Hotel fees will be $160. We’re working on the Barclays CC right now for the tickets. We’re not big on spending money on souvenirs, so we’ll just pay out for food, airport transportation, and experiences. Amazing!!!! THANK YOU!!! THANK YOU!!! THANK YOU!!!! Hi! Since this arcticle was written several months ago, I was curious if the Barclay website still accepted the code as travel from Undercover Tourist? We wanted to sign up for the challenge, but we are only looking to buy tickets as we already purchased our rental through DVC. :/ Bummer! It is pretty discounted though compared to Disney. Also I have been working with a lady who is a Travel agent….makes me wonder if I bought through her, it would also be coded as travel. I’ll chime in for Brad, though he may circle back with more commentary later. Yes, the Undercover Tourist approach will still work and is coded as travel. And, that’s a really good question about your travel agent. Yes, we have seen reports that this counts as travel on the Barclaycard (as it should). The key is that it is coded as “travel merchant.” You can double check this with your travel agent, as they should be able to confirm how their transactions are coded. Thank you! I will ask her! What do you recommend for a family of 6- 2 14 year-olds and 2 6 year-oldso and 2 adults? It doesn’t look like the Dolphin or Swan has rooms that accommodate larger families. Thanks in advance! Great post, I think I need to read it 5 more times though to make sure I understand the whole process. Question: Do you think this would work in other Disneyparks? Such as Disneyland CA, or Disneyland Tokyo or Paris (or the Chinese ones)?? As for international parks, I’d imagine the limiting factor is getting the park tickets to count as “travel.” But you could definitely find creative ways to get hotels and flights. Is it possible to book a hotel stay at the Dolphin before you have all the points, then use the points retroactively? We are planning a vacation for November 2017, but we need to book hotel rooms soon. I am just reading your article, so I’m trying to figure out what we can still do to save $ in the time we have available. Thank you! Does AAA count as a “travel merchant” if you purchased Disney tickets through them? from what i’ve learned so far, It only works out well if you are persistent and organized with your thing, also know how to control your money, that way things won’t get out of hand. in all, its worth giving a best short. I believe that “should” work. Hotels/resorts are considered travel, so as long as they don’t bill the tickets in some other way you should be fine. We just finished earning our hotel stay! I am so excited. As a child, my family went to Disney World numerous times. We drove down from NY and had relatives in the area to stay with, so it was more affordable. I have been wanting to share the experience with my two boys, but thought it was something we would never be able to afford. Thanks to your advice, we are going to be able to do it! Hi Lauro, if you choose to cancel a credit card the process doesn’t take much time at all. Maybe a 5 minute phone call. Just to let everyone know, the Dolphin and Swan rooms only allow for up to 4 people to stay in them. We have 3 children, so with me and my wife we would have to book 2 rooms. Which is pretty unrealistic. The 5+ rooms you can’t book with points. Did you ask the hotel at which age kids count toward the occupancy limit? I wonder if you might be OK with 5? Also, in our private Facebook group, we’ve had some folks recommend the Sheraton Lake Buena Vista, which might be an alternative property to consider. We just booked for a family of 5 at Dolphin using points. Swan max occupancy was 4, but Dolphin’s was 5 people. We booked 6 nights using only points and got our 5th night free! Great work! Hope it’s a great vacation! Brad, Thanks so much for all this advice…We just got back fro our nearly free Disney World Trip for 2 adults and 2 kids. We used the Chase Southwest Card (one account for each of us) to book the flight, Capital One Venture cards to pay for the Park tickets via Undercover Tourist, SPG Amex cards to book our 7 night(!) stay at the Walt Disney World Dolphin (great hotel! ), and finally used a Citi Double Cash card to accumulate straight cash to help pay all out of pocket expenses (Magic Bands, Memory Maker, meals, airport transer, stoller rental, resort and credit card annual fees)…All told our actual out of pocket cost for the 8 day trip (priceless…lol) was around $500 (instead of $6-7K)…Next trip….California! Nice work, Cory! That’s an insane amount of savings for a week long trip, and I hope you guys had a blast! If we asked family for Disney gift cards for Christmas do you know if the restaurants take these? Ellen, these are both great questions. I hope to do some research and report back! Maybe with a post on this topic specifically. Thanks! Disney owned restaurants will accept Disney gift cards. If you are using magic bands, you can pay down your balance at your resort front desk with the gift cards. If you buy them at Target with your Red Card, you save 5%. Other suggestions are to split meals, ask for entrée only at counter service restaurants ( you don’t have to get side items), eat breakfast in rooms (most have refrigerators). These are some great tips, Karen! Brad, thank you for this great article. I had to read it few times to let it sink. I will sure follow this steps. My husband just recently opened his SPG (I will open next) and I was wondering if I can make a reservation now to hold th room for us during our preferred travel dates and then just use our SPG points later on when we receive the bonus. Is this possible? We plan to stay at Dolphin for 4 days but since the fifth is free, night as well take advantage of that. I also just plan on buying 2 day-tickets (1day day for MK and 1 day for Epcot) since my kids love water and we plan on just staying at the resort to enjoy and relax through iut our stay. Since this is in the property, can we do that? Or do we have to have 5 day WDw tickets, too, since we’re staying at Dolphin for 5 days? -Call the hotel and talk about this directly to give you some peace of mind. -Be aware that the points required might increase between when you have the room held and when you go to redeem points. -There is no guarantee. If the hotel overbooks standard rooms, when you switch to points your room may no longer be eligible for points. I strongly suggest calling the hotel. They’ll have more info about the specific dates in question and better advise you. Also, consider joining our group if you want more help planning the trip! This plan sounds amazing! Our family will be implementing these strategies for our vacation next year! Quick question, will I be able to redeem the 25,000 points with the Starwood Preferred Card if i already have a different credit card with american express. I know some credit card companies won’t let you take advantage of a sign up bonus like this if you already have a credit card with them. Hi Brooke, that’s great to hear! You should be fine with the Amex. Their rule is generally labeled as “once per lifetime” for each specific bonus. So having a different Amex card/bonus is OK, but you can only earn the bonus on the Starwood card once (though you could also get it on the business version of the card, a spouse could earn it on a personal card of their own, etc.) Hope that makes sense, and hope you’ll consider joining our challenge/FB group! I’ve already been through the Chase Gauntlet and am unable to get the Marriott card (but I did get a SW Companion pass!). I see that Starwood no longer offers the 25,000 point sign-up bonus. Are there any other hacks for hotels at Disney? IF you still have UR, one “hack” might be to use the UR for tickets, and then the Capital One Card for hotel rooms. That’s just one idea. I bet there are others! Quick question, so if both my wife and I open the Marriott card to get the bonus points, would we be able to then combine those points into one account to book 4 consecutive nights? Seems like it would be difficult to book consecutive nights on different transactions using points. DJ, great. The answer is yes. It just costs $10 USD, which is very reasonable. Marriott allows you to exceed the 50,000 point transfer limit once per year ONLY IF you are making the transfer to complete an award booking. So this would work, as long as you meet those criteria (sounds like you would). DJ–I updated my reply to you. I was incorrect on an aspect, but it’s correct now. That’s awesome! Thanks so much for the clarification. Best advice is to bring a back pack with insulated thermoses. We always bring 2 per pack and fill with treats. We like trail mix, red vines, and granola bars. We spend about $15 per pack and save 4 times that I water costs alone. Fast passes are a must otherwise you will ride 2 rides each day. Also plan your day otherwise you will get exhausted wondering around the park trying to decide what to do next. Planning makes all the difference. See I should’ve read this blog before going to Disney last year. I went on an impromptu trip with my niece and her kids. We were only going for 1 day but she never told me how much a one day admission would cost. It cost me $140 and I stood there at the Disney entrance counter with my mouth wide open stupefied! Unbelievable!! Has anyone done this towards a Disney Cruise? Would be interested in that possibly, too. love these tips. With Disney entry and accommodation prices being so high, this is the best advice one could get on how to go there with the family for free. Thanks for the great post. Would this work for Universal Orlando Tickets as well? Im just reading this article. We have been piecing together cards and points for a bit without having read this. My question is, Is the part 1 of your article about hotels still accurate? Meaning has anyone discovered any other ON property hotels that can be redeemed on credit card rewards?